10:00 P.M. Last southbound commercial train leaves Roosevelt Station for Baclaran Station. 5:00 A.M. First train leaves the Baclaran Station bound for Roosevelt Station. 9:00 P.M. Last northbound commercial train leaves Baclaran Station for Roosevelt Station. 9:30 P.M. Last southbound commercial train leaves Roosevelt Station for Baclaran Station. 5:00 A.M. Start of operation. 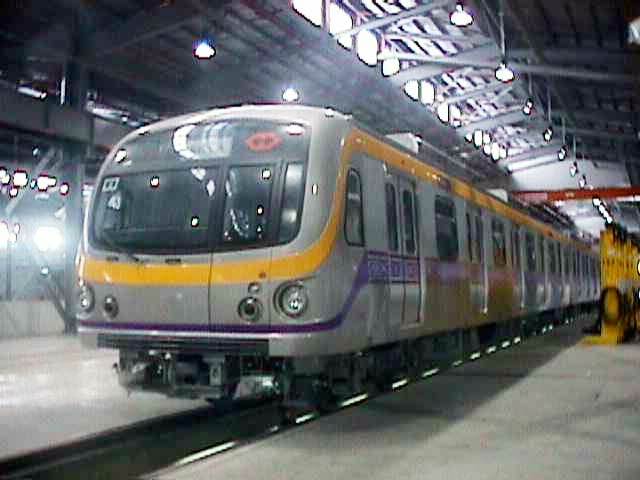 9:30 P.M. Last commercial train leaves Santolan Station for Recto Station. 10:00 P.M. Last commercial train leaves Recto Station bound for Santolan Station. 9:30 P.M. Last commercial train leaves Recto Station bound for Santolan Station.